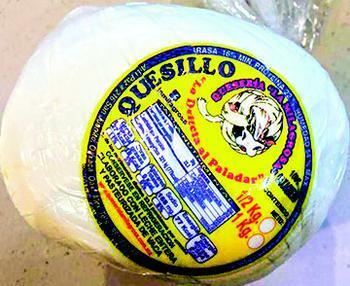 Alebrije Dist Wholesale is recalling Quesillo “Queseria La Milagrosa” and “Alebrije” cheese. Quesillo “Queseria La Milagrosa” wrapped in a basic plastic bag with a yellow label with two presentations ½ kg and 1kg. “Alebrije Cheese” wrapped in a basic plastic bag with an orange and blue label with three presentations ½ kg, 1kg and 5kg. Consumers with questions may call at (619) 646-5361 from 9 am – 5 pm (PST) Monday through Friday.